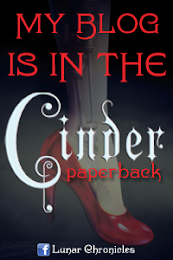 Paige Winterbourne is a forced to be reckoned with. And I adore her to no end. The first time I picked up Dime Store Magic I remember being extremely apprehensive. I was not a fan of Paige, and really didn't care to have a whole book dedicated to her. 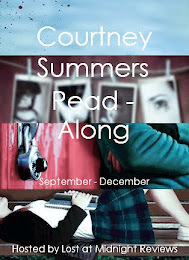 Of course, after reading this book, I became a card carrying member of the Paige fan club. She is just such a fierce young girl. I love how dedicated she is to making the world a better place even against such adversity. The second time around, I could not understand my dislike of her the first time. Yes, she's stubborn and can be over-baring, but she is just trying to do the right thing. Her sarcasm and unfailing devotion are what make her the amazing person she is. Her dynamic with Savannah, her equally stubborn ward, is hilarious and adorable. They're both in a situation neither one of them imagined, and are just trying to make it work. Savannah herself is not a typical thirteen year old girl. She's got a bit of an anger issue, tons of sarcasm and the ability to cast some of the most powerful spells around. But she's also a broken girl missing her mom, and unsure about her place in this new world. Then, of course, there's Lucas. Although his constant use of pretentious words (although it's just a natural thing for him) could be irritating, his sweet character and passion for righting the world's wrongs was admirable. Him and Paige make a fantastic couple, and I couldn't help but smile at their scenes together. It was them against the world and I was rooting for them all the way. I love the idea of the Cabals (essentially supernatural CEO mobsters), and was excited to read more about them. 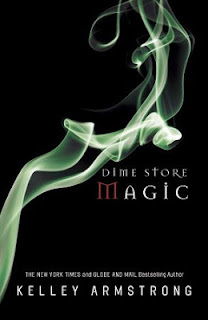 The plot of Dime Store Magic was captivating and heart-pounding. I wanted to see how they were going to find their way out of this mess. I was really invested in the novel and in these lovable characters. I just wanted to read more and more. I may have known what was going to happen but I needed to READ it. It was just that good. Although Elena will forever be my favorite narrator of the series, Paige has won herself a spot on my list as well. She was fantastic. And I'm so excited to pick up Industrial Magic and read about her next adventures (again)!